A Carlsbad man was killed Tuesday in a head-on collision on U.S. 285. 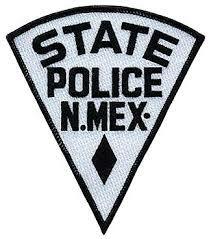 New Mexico State Police officers were dispatched at 8:36 a.m. Tuesday to mile marker 13 on U.S. 285 in response to the wreck. According to the investigation, a 2015 Ford 350 pickup was traveling north on U.S. 285 when it crossed into the oncoming lane of traffic, colliding with a 2018 freightliner semi-tractor trailer. The driver of the pickup, identified as Jacob Balderrama, 21, of Carlsbad, was not wearing a seatbelt and sustained fatal injuries. He was pronounced dead at the scene. The driver of the tractor trailer was not injured.